Peeking in to Delight You – Butterfly Eyes. Two large pairs of orange and red eyes turn into yellow, sunglow, saffron and amber butterflies. Then pumpkin, carrot, coral and bittersweet surround the outer eyes, dancing outward with flame, salmon and tangerine streaming ribbons and swirls into the dark unknown. Butterfly Eyes, Abstract Gold Violet Wings Fractal Gift Wrap will set your gift apart with this striking wrapping paper. Showcase your present with unique, custom made gift-wrap paper. Whether your gift is small or large, special wrapping paper makes a special presentation. Sure to get your gift noticed! Peeking in to Delight You! Butterfly Eyes, Abstract Violet Gold Wings has two large pairs of orange and red eyes. Then the eyes turn into yellow, sunglow, saffron and amber butterflies. So then pumpkin, carrot, coral and bittersweet surround the outer eyes, dancing outward. The eyes then turn into flame, salmon and tangerine streaming ribbons and swirls into the dark unknown. One set of smaller eyes nests in the middle of a long indigo and periwinkle blue streamer. Thus that ribbon gracefully bends and twists. This matrix has bright flashes of amethyst purple that brightens up the dark atmosphere. Butterfly Eyes reminds us that delight and joy exist and are there to enrich our journeys – as we let them. We can let our lives be enhanced by spontaneity and glee. Then allow it to stream out into life, where it becomes something greater. Butterfly Eyes is one of my Halloween Fractal series. Unique high quality custom gift wrap is available in four types of premium paper and in five different sizes. Thus this special wrapping paper conveys care and consideration. Have some Butterfly Eyes, Abstract Gold Violet Wings Fractal Gift Wrap on hand for any occasion. Thus it has you covered! 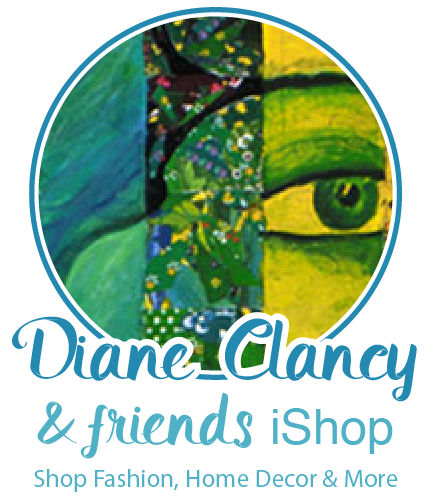 To see all products from Diane’s Zazzle Holiday Art shop CLICK HERE.